Chateau / Country House1722 sq. 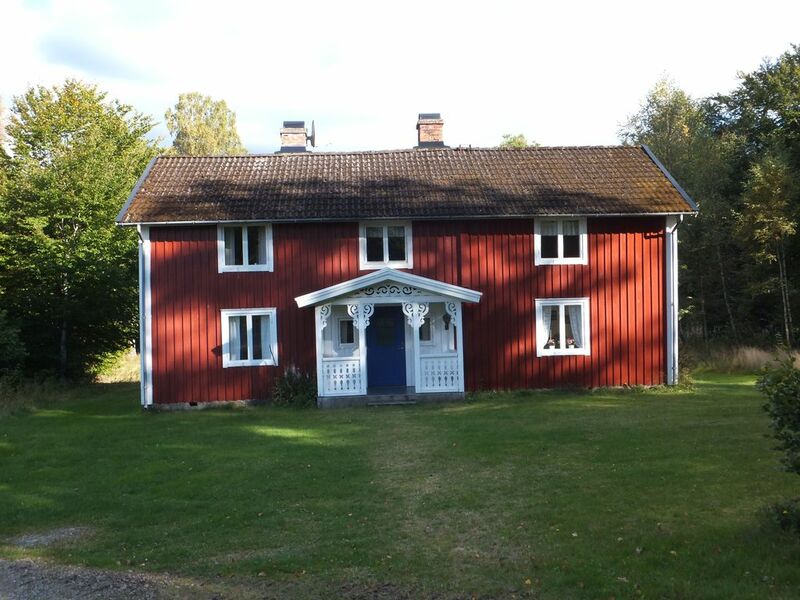 ft.
Our spacious Sweden house was built in a traditional style with wood. With its floors and ceilings made of wood, 2 open fireplaces and typical furniture give off a charming, rustic charm. At the same time, it also has all modern comforts. The highlight of our domicile is additionally its expansiveness and stunning location. Our 100000 m² natural property stretches out on a slope directly by the Rymmen Lake with its 300m long private shore. From this charming location 300 m from the shore, our house looks out onto the lake. The Rymmen is the pearl of an expansive chain of lakes that stretches from the Smaland highlands up to the beaches of the Swedish west coast. Enthused canoeists can go on the Rymmen and its neighbouring lakes and rivers, whereby both experienced canoeists and beginners will find everything they need. The Rymmen Lake has countless secluded bays and idyllic islands that invite you to rest or to spend the night in a tent. The lake system is famous for its fish. In addition to the walleye, barsh, eel and different white fish, the large population of zander also impresses. The nature surrounding our property invites you to do animal observations, hikes, cycling tours and boat rides. 6 Personen 820 EUR, 7 Personen 865 EUR, 8 Personen 910 EUR, 9 Personen 955 EUR, 10 Personen 1.000 EUR. 25% Anzahlung nach Vertragsabschluss, Rest 30 Tage vor Mietbeginn. Kaution 100 EUR.